Copyright © 2011 Houston Chiropratic Neurology. All Rights Reserved. Each patient receives an initial comprehensive physical and neurological examination. The examination findings isolate specific regions of the brain, central nervous system or peripheral nerves, and/or neurochemical imbalance that are the cause of symptoms, neurological disorders or illness. The neurological findings will provide an accurate assessment for the condition and provide protocols for appropriate treatment and rehabilitation. Therapeutic rehabilitative procedures are non-invasive, non-surgical and non-pharmaceutical. 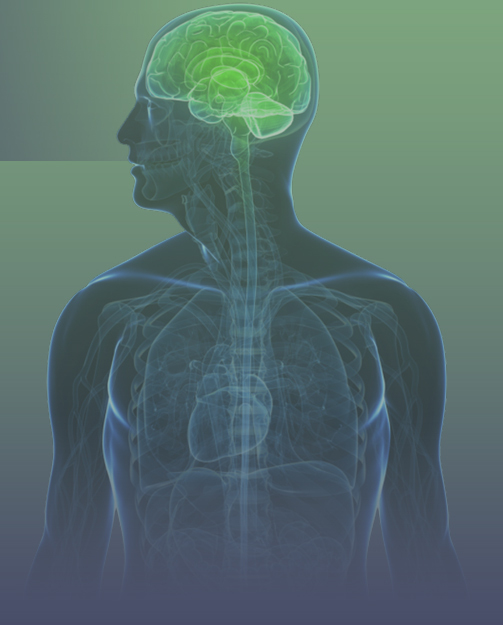 Dependent on the neurological or physical pathology, treatment methods may include brain-based therapies utilizing auditory stimulation, visual stimulation, eye exercises, cognitive exercises, balance exercises, strength exercises or a combination of any of these precise for each patient’s needs. Rehabilitative methods may include exercise rehabilitation and physiotherapy modalities such as ultra sound, interferential therapy, specialized massage for specific results, deep vibration, or a combination as indicated. Specialized manipulative procedures may be part of the treatment program and will be appropriate for the desired neurological reflexes and specific motor feedback per patient case and condition. The doctors are highly skilled in appropriate manipulative techniques for both children and adults. Manipulative procedures will be administered appropriate for the patient and based on progress evaluations at each office visit. Quality time and patient specific therapeutics are focused on each patient from the initial consult and in depth examination to follow up rehabilitative office visits. Specific to children, we provide therapeutic protocols for earaches, birth trauma, colitis, posture correction, posture development, motor skills, language development, scoliosis screening and routine wellness examinations for spinal and central nervous system health. In general, we have a high success rate of resolving common symptoms of sciatic pain, peripheral neuropathies, carpal tunnel syndromes, vertigo, balance issues, dystonia, Parkinson’s, developmental disorders, mood/behavioral disorders, fibromyalgia, post-traumatic brain injury deficits, Bell’s palsy and other cranial nerve or peripheral palsies. Therapeutic results are achieved through maximizing central neuron stimulation integration appropriate for the patient, increasing and stabilizing neuronal cell membrane potentials for long term results. -Manual non-surgical decompression/correction of joints to restore function of the joints. ​ -We evaluate our patients' metabolic and physiological states, explain those to help you understand what nutrients/diet you might be needed. We evaluate a metabolic profile and order any lab tests indicated. -Timing in the brain (aka., temporal processing) plays important roles in focusing, reading comprehension, motor coordination, memory, processing speech, sleep cycles, sport performances and other human capabilities. There are growing literatures suggesting the neural timing deficits in ADHD, dyslexia, Autism, Reading disorders, Parkinson's and other disorders. We utilize interactive auditory stimulation with functional neurological rehabilitation to improve the neural timing and integration. Gait and stance stability is evaluated to assess patient's balance, center of gravity and postural control. Brain-based activation method that may include auditory, visual, eye movement and cognitive exercises as indicated based on examination findings that include central nervous system effects on spinal and extremity stability and function for long term benefits. -A rehabilitative taping technique to enhance body's healing process while providing support and stability to muscles and joints. -A soft-tissue therapy to restore states of muscles/tendons/muscle spindles to normal functional level. We utilize the concept of ART to improve local functions and to relieve pain/stiffness quickly. -A functional movement tests to design to assess fundamental patterns of movements. This helps the doctor to identify impairments that may be seemingly unrelated to the chief complaint, but contribute to the associated disability. An example of gaze stabilization exercises. Rebuilder- electrical peripheral nerves stimulation.